To configure mod for single player edit driveControl_config.xml in FarmingSimulator2017 folder. This file will be created after first load of the savegame where this mod is ebabled. in driveControl.lua file located in this mod zip. Edit those lines before you load and use this mod on server otherwise you have to force values from initial config, read lines below. Script looks for config file and loads it, when it does not find value for enable or disable module in config file, it looks for value in initial config in driveControl.lua file. So the values from config file (driveControl_config.xml) are preferred before values from initial config (driveControl.lua). To force values from initial config (driveControl.lua), set variable forceInitialConfig = true in driveControl.lua file. The purpose of this document is to help the farmer playing seasons to predict how much food to have on hand before diving into animal ownership. Unlike the base game where you can buy animals and never feed them with Seasons if you do not keep your animals feed they will die off. To be good stewards to our virtual animals we should not purchase them until we can care for them. This document will help you plan out the optimal number of animals you can care for based on the amount of crops you have growing or the amount of crop you have in storage. Reference your season length with the Season day factor table and enter the correct day factor in A3 on any or all of the animal tabs. Then enter on B3 on any or all the tabs the number of animals you wish to reference the feed requirements for. For the cows enter the powerfood/TMR mixing ratio that you use as a decimal value. Note there will be some margin of error on the numbers based upon rounding calculations. There are four main sections of data on each tab that may interest you. The first is the amount of materials needed every 3 days to feed your animals. This table breaks down the amount of material that the troughs will accept over a 3 day feeding for a given season based on the season length day factor and the number of animals. For any animal that accepts grass it does not reflect grass during winter as feeding grass is disabled during the winter season. The next section is the total amount of material you will need over the course of each of the four seasons as well as a total for a full game year for the given season length and number of animals. The third section of interest is the approximate amount in hecatres that you should plant of a given crop to sustain a given number of animals over a game year. This calculation is assuming the field is plowed and fertilized three times. The last section is an estimation on the number of bales you will need to feed the select number of animals over a game year. The bale counts are estimates assuming standard in game bale capacity of 4000L. For cows it assumes that if you feed TMR/Power food you do NOT feed hay/silage independent of the TMR feeding. If you do not feed power food/TMR then the silage/hay column will reflect how much to get that column to 100% every 3 days. There is a power food breakdown that will calculate the amounts of the various power food components that will be needed to prepare the total amount needed every 3 days to fill both the power food and hay/silage columns to 100%. The table that reflects the estimated crop size that is needed to support a given number of pigs over the course of a game year has all of the potential feed components listed. You may select which cereal, protein and root crop to grow based on these calculations. You do not need to grow both wheat and barley for example you can select one or the other or a combination of the two. For the North American farmer that I looking to hold extra fertilizer for his/her planter or sprayer. This set of tanks will hold 4543 liter and will help keep you moving longer with less refills. Simple to install, but requires tractor to be edited within Giant's Editor to add the appropriate attacher joint. Installation instructions are included within the zip file on how to add the appropriate attacher joint to said tractor. Some tractors have such attacher joints and only need to be relocated. Placeable that started with the request of DeafGamer. This mod started out as the coffee pack. With the request of a few people I decided to add a few more toys. Unfortunately I had to start the coffee pack over from scratch. I was concerned with some filltype conflicts. This factory pack has 3 separate files to download if you want to utilize its full potential. The master pack/trailer sell is a must or you will not be able to move or sell products. This is fabrik based so you will need tanks to support the liquid triggers. At the coffee house placeable/sell point you are able to sell any product made from any factory. The doughnuts and coffee sell at a higher price. Either trailer will work, however you have to use one of these trailers because of the type of trigger and filltype in the script. I am uploading this for Shy Wizard, some of you maybe know his YouTube Tutorials. He converted the Large Greenhouses from Farmer Andy(FS15) to FS17 with the new mcompany Script. He has permission to share this with you from Farmer Andy, so have fun. Large Cauliflower, Lettuce, Mushroom, Tomato and white cabbage Greenhouses converted from FS15 to FS17 and using the new MCompany Script. This is a placeable liquid storage facility. It holds liquid fertilizer, liquid manure, fuel, water, and digestate. There are 2 semi tankers included in the mod. One works just like the in game kotte accept it hauls all liquids, the other is a fuel tanker that can be filled at the storage facility, or at a fueling station, and will fuel your equipment. The semi tankers can be found in the misc category. Fixed support columns on the tanks so they visually go up and down. Fixed the trigger on the fuel tanker so it picks up quicker at a gas station. Edited triggers to support modded tanks. Tested with the road train pack, and universal kotte. Added a small multi tank and a fuel tank. Fixed wheel chocks on semi tankers, fixed decals. 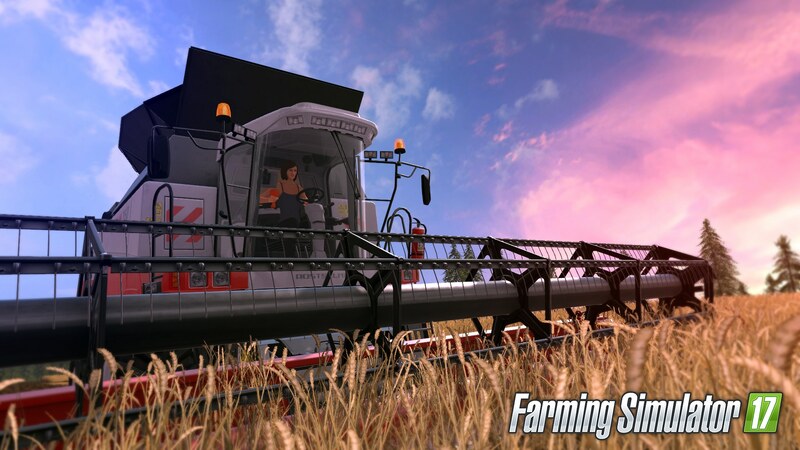 Seasons GEO mod to go with Realismus Modding's Seasons. This Geo is based on Simferopol, Ukraine and features cool dry summers and wet winters. FS-17 New Holland SP400F Pack. Plows and cultivators will dig up rocks during the tillage process. This is a wonderful truck to have! I wouldn't want to be without it on my game! Shows status of fields on th emap; crops, growth stages, bales, etc.